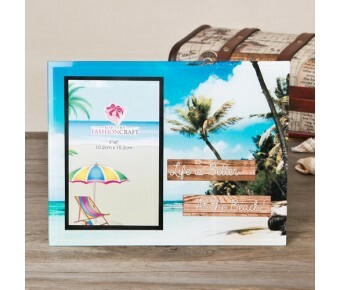 Capture and display those glorious vacation memories with this stunning beach-themed frame! Clear blue skies, lazy sun filled days and swaying palm trees are sure to stop your clients in their tracks! 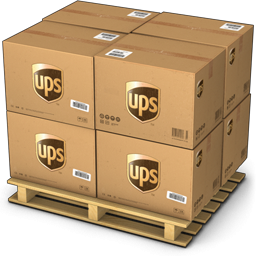 They will rush home to get those vacation photos out of their dusty boxes and display them for all to admire. The fun, pastel tropical colors create a fabulous vibe on this frame. Made from beveled glass, it hold a vertical 4 x 6 photo surrounded by a dark border. The words 'Life is Better at the Beach' are written in white lettering on a driftwood backdrop. When your clients come looking for a perfect frame for those vacation, destination wedding and beach event photos, they will be enchanted to find these on your shelves! Size is 6 1/2" x 8 1/2"
A fabulous frame for vacation photos, beach-themed events and destination wedding photos!